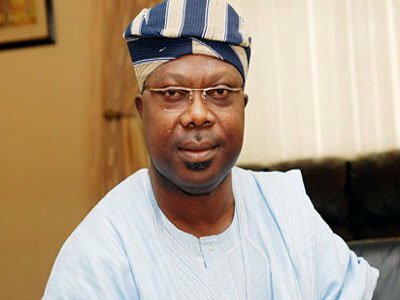 Senator Iyiola Omisore, a former Osun State deputy governor, has announced his defection from the Peoples Democratic Party (PDP) to the Social Democratic Party (SDP). Omisore, who announced his defection in a statement yesterday in Osogbo, the state capital, said he intended to contest the September 22 governorship election on the platform of SDP. He said his mission was to rescue the state from what he called years of misrule. According to him, the PDP in Osun State is in disarray and likely to remain in prolonged political captivity over the next four years. The statement reads: “…Engaging and working with like-minded leadership, we have sought for an alternative platform that will assure both credible (sic: credibility) and legitimacy that will rescue Osun State from its current reckless misrule. “Our quest for an alternative political platform is basically in pursuit of a credible political structure that would guarantee that our people enjoy the benefits of accountable leadership at the state level from now. “Notwithstanding my enormous contributions over the past years or so to building the PDP, after very deep thought and the widest consultations with my God, my family, my supporters in and outside Osun State, it is with great concern that I have made a very expedient decision today to withdraw my membership from the PDP and join the SDP, a party that believes in a balanced, equitable and truly functional Nigeria. The News Agency of Nigeria (NAN) reports that Omisore was Osun State deputy governor on the platform of Alliance for Democracy (AD) between 1999 and 2003. He was also elected to the Senate on the platform of the PDP in 2003 to represent Osun East Senatorial District, while he was in jail. Also, Senator Omisore, whose loyalists reportedly defected to the SDP, may not find it easy securing the party’s governorship ticket, it was learnt at the weekend. A governorship aspirant on the platform of the party, Otunba Kola Yemisi Oladeji, said it was wrong for people to refer to Omisore as the governorship aspirant of the SDP when he had not even been recognised as a member of the party. In a statement, Oladeji said the party’s governorship ticket would not be handed over to Omisore without going through a primary organised by the party. The SDP stalwart insisted that the fear of primary, which forced Omisore out of the Peoples Democratic Party (PDP), awaited him in the new party.